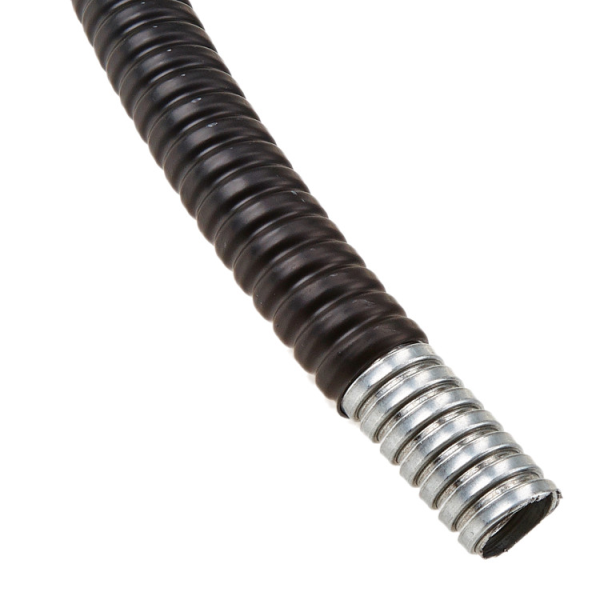 LFH Coated Conduit is a helically wound, flexible steel conduit with black Low Fire Hazard (LFH) coating. Available in 20mm and 25mm sizes in 25m rolls. Typically Low Fire Hazard coated conduit will be used for CCTV, public and commercial buildings as well as in tunnels. This product is London Underground Approved. Available in 20mm and 25mm.